We are a leading Manufacturer of programmable logic controller trainer kit, plc trainer kit, plc pneumatic trainer kit and plc simulator trainer kit from Coimbatore, India. Leveraging on wide expertise, we are instrumental in developing premium grade Programmable Logic Controller Trainer Kit. A wide range of industrial applications including process industry, automotive industry and energy monitoring utilize latest models of programmable logic controllers. Thereby, we have presented the innovative trained kit which includes laboratory manual, friendly interface, and compatibility with latest designing software. 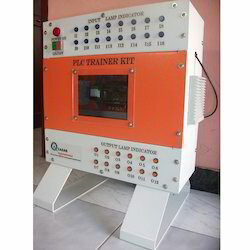 Owing to our technical prowess, we have surpassed the competition by offering best quality PLC Trainer Kit. Use our offered trainer kits and apply programming strategies and techniques with ease. Embedded with next generation technology the offered kits are widely appreciated to render the basics of programming logic controllers and its diverse applications. Further, the offered kit is accessible from us at a market leading price. 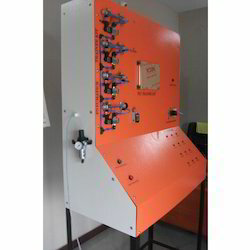 We are recognized as the industry leaders by offering high grade PLC Pneumatic Trainer Kit. The high speed frequency input of our offered trainer kits is gaining wide acclamation across the industry. These kits are fitted with PC- PLC interface cable that ensures user friendly operation. Further, we are providing the kits with customized options for panel dimensions that suit varied applications and industrial processes. 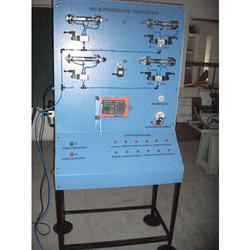 We have complete allegiance in providing the best in class PLC Simulator Trainer Kit. Learn PLC programming for varied manufacturing processes, with our offered simulator trainer kit that is embedded with interactive interface and next generation technology to automate varied industrial applications. Further, the offered kit is especially engineered to ensure faster installation and timesaving troubleshooting.